Keeley 30ms Automatic Double Tracker. 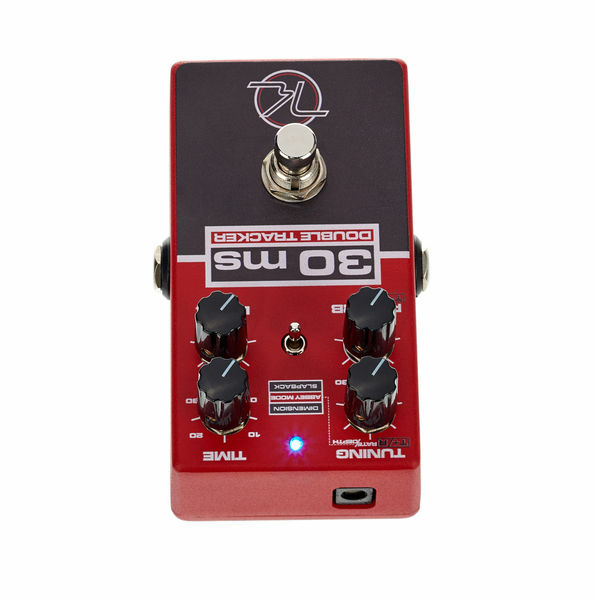 The stereo effect pedal offers an array of studio style doubling effects used for creating thicker, fuller sounding instruments. Also included in the effect pedal is a reverb that simulates the famous chamber in Studio Two. 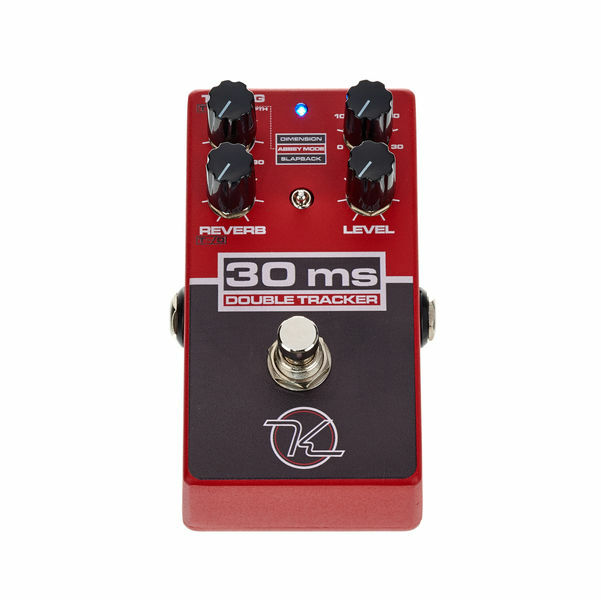 The Keeley 30ms is designed to work with guitar, bass, keyboard, even vocals. 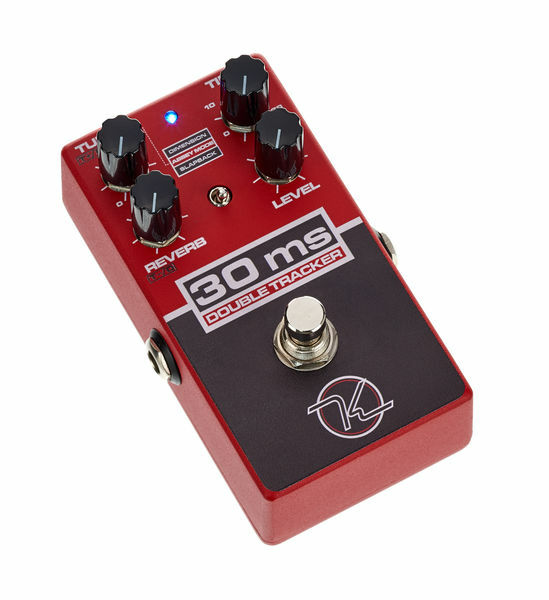 The Keeley Engineering 30ms Automatic Double Tracker pedal can be used in mono with a built in “Abbey Verb” reverb control, or in stereo as the Double Tracker Pro. 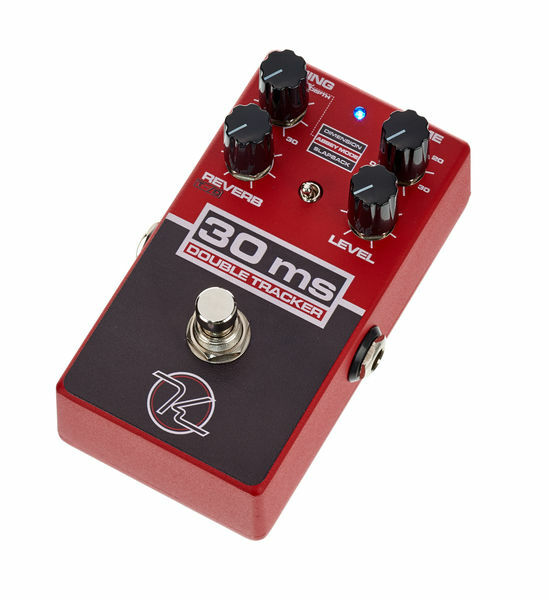 The 30ms offers altered and detuned effects like a chorus pedal might sound, only without the regularity of a LFO oscillator in Dimension Mode. In this mode you have the ability to create up to two different voices for a stereo double tracked field. The user controls the tuning and delay for results that are stunning mono or through two amplifiers in stereo. Abbey Mode offers something more similar to a conventional chorus in that it simulates synched tape decks running in parallel with varying tape speeds. Stereo or mono this mode gives players a wide, lush sound without sounding like a conventional chorus pedal. Lastly the team at Keeley created a unique Slapback Mode for rockabilly sounds. The Slapback is now a double tracked echo with the two altered voices. Add the Keeley Abbey Verb to this mode to create really new effects. In Stereo Double Tracker Pro mode the unit drops the reverb channel in favour of complete control over the double tracked voices. Each of the two voices can be tuned up to 30 cents sharp and flat. Those voices are then delayed by up to 30 milliseconds for subtle to very distinctive doubling sounds. The user can program by internal switches the wet output to have either dry and effected sounds, or just the effect, giving them true double tracking in stereo, live.